The year was 1969, and these 'kids' had the nerve to carry the name WAR at a time when peace was the slogan in an anti-Vietnam America. "Our mission was tospread a message of brotherhood and harmony". Original Band Members included; Lonnie Jordan/singer/keyboardist, Howard Scott/guitars/ vocal, Lee Oskar/harmonica, B.B. Dickerson/bass vocals, Harold Brown/drums/ vocals, the late Thomas "Papa Dee" Allen/congas/timbales, and Charles Miller /saxophonist/flutist. Nevertheless, Goldstein's spontaneous impulse to scratch Burdon's musical itch would yield a mother lode of chart gold and platinum. WAR would wind-up being honored with 17 gold, platinum or multi-platinum awards which include the triple platinum The World Is A Ghetto, double platinum Why Can't We Be Friends? and Greatest Hits, platinum Deliver The Word, WAR Live, All Day Music, Best Of WAR and...more and Platinum Jazz, and gold Eric Burdon Declares WAR, Galaxy, and The Music Band. Another compilation followed in 1977 with the release of Platinum Jazz, which gathered WAR's extended jams and instrumental pieces and was released on the Blue Note jazz label. It became Blue Note's first Platinum album. 1977 found WAR the funky band in a "funky" place. Disco, with its programmed beats, slick production and shallow lyrics, was dominating the music scene and the un-constructed and free form street music that defined WAR was clearly not in vogue. Still, the group managed to attain success with the album Galaxy and its sleek, dance-grooved, spacey lyric title single. "Galaxy was inspired by Star Wars and just fit into vibe of the time." Goldstein remembers. While Galaxy inspired by a film, ironically WAR's next project would be a soundtrack album for the movie "Youngblood." in 1978. The story of a Los Angeles street kid starring Lawrence Hilton-Jacobs, of the popular 70s television series Welcome Back Kotter, would be a flop and the WAR soundtrack would fly under the radar. 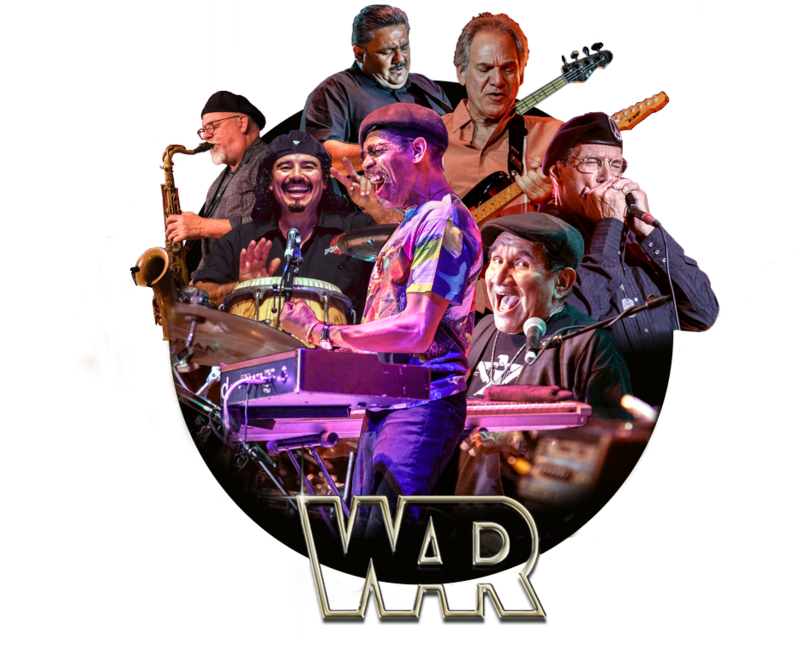 Although, WAR would never rekindle the level of prosperity that was reached in the mid-seventies, it continued to record releasing the albums: The Music Band (1979), The Music Band 2 (1980), and Outlaw (1982). The singles "Outlaw", "You Got The Power", and "Cinco De Mayo" were warmly embraced by WAR fans. In 1979, B.B. Dickerson departed during recording sessions for WAR’s next album. 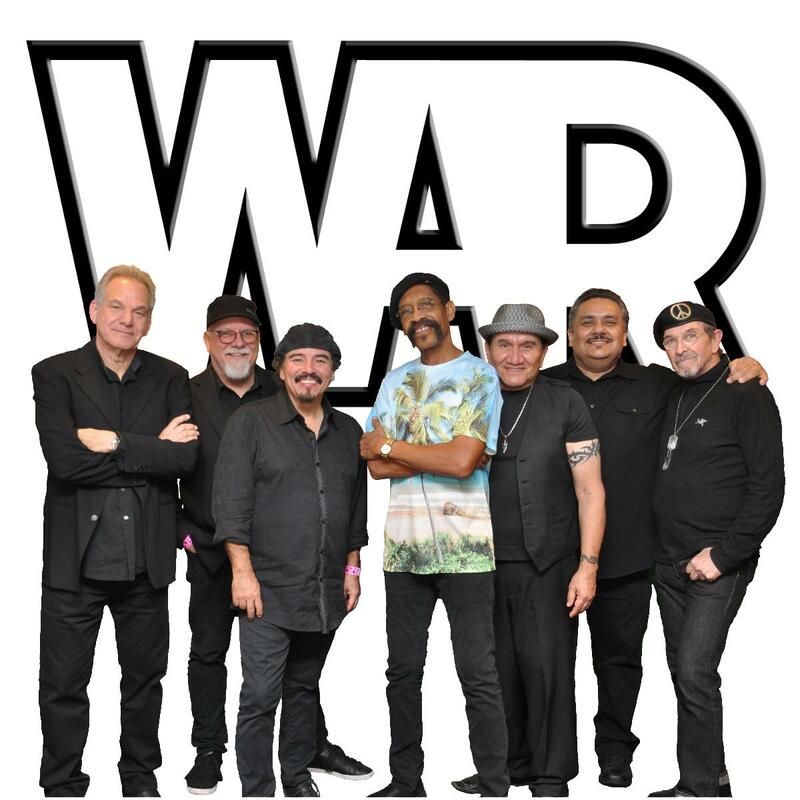 Replaced by Luther Rabb, base guitarist who helped WAR complete the album, WAR considered a name change that didn’t happen. WAR made a series of albums titled ‘The Music Band’. The series consisted of two studio albums (The Music Band, The Music Band 2, both in 1979) and a live album (The Music Band Live, 1980). WAR left MCA in 1981 and had already made records for other labels, MCA expanded the series with a compilation (The Best of the Music Band, 1982) and a third original album of left-over material (The Music Band – Jazz, 1983). WAR lost Charles Miller in 1980 (saxophone) whom was murdered. Miller however had already been replaced by Pat Rizzo (ex Sly and the Family Stone) in 1979. Quiet familiar with change, WAR was evolving as new band members joined up with the likes of; Alice Tweed Smith (credited as "Tweed Smith" and "Alice Tweed Smyth" on various albums) on percussion and vocals (giving the band its first female vocalist), and Ronnie Hammon as a third drummer.